Venous disorders comprise a continuum of health concerns that range from superficial vein insufficiency and varicose veins to deep vein insufficiency and venous blood clots. Symptoms may present as discomfort, fatigue, or heaviness in the leg, or patients may complain of chronic pain or lost sleep due to cramping or restless leg. Some may experience non-healing ulcers, cellulitis or phlebitis. Still others with the disease may be symptom free. Historically, venous symptoms have often gone untreated due to discouraging outcomes and the lack of quality treatment options. 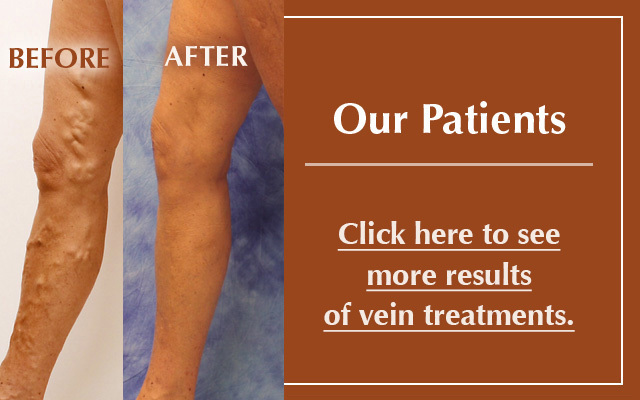 Just decades ago, "vein stripping" to remove the vein causing the insufficiency was the gold standard of treatment. Today, injection therapies such as sclerotherapy, surface laser treatments, and other non-invasive closure procedures including EVLA have become the gold standard of care. These innovative forms of treatment are performed under local anesthesia in a variety of clinical settings including physician offices, and they have a 98% long-term success rate. These treatments have transformed the way the medical community views diagnosis and treatment of venous disorders. Venous disease affects your patients. It is estimated that 80 million Americans have some form of venous disease. Individuals who have been pregnant more than once, have a family history, or spend a great deal of time standing elevate their risk of the disease. Physicians who encounter patients with or at risk for venous disease are at the front line of reducing the growing number of people suffering with symptoms. By discussing the latest information with patients concerning modern approaches to testing, diagnosis, and treatment, the medical community can make an important contribution toward improving well-being and quality of life for thousands of people across the country. Even today, it is common for venous disorders to be undiagnosed or undertreated. As a result, many people experience chronic pain, sleeplessness, or symptoms of discomfort. Many are not aware that venous disorders are progressive and as a result, their symptoms intensify, sometimes leading to serious medical complications. Others feel they must live with unsightly varicosity that affects their engagement in social activities and erodes their confidence, and ultimately, their health and well being. It is common to encounter patients who feel varicose veins are a cosmetic problem, and do not seek treatment. It is also common for patients who have strenuous jobs that require physical activity or long periods of standing to think that fatigue or chronic pain is simply part of their life. In fact, men often suffer from more advanced venous disease because they are less likely to seek treatment for pain, fatigue, or varicosities. Patients who have been treated or have inquired about treatment in the past often do not pursue treatment because they assume dated, invasive options remain the standard. Moreover, many patients fail to understand the consequences of early stage venous disorders. They do not realize that treating the source of venous insufficiency can prevent complications such as an increased risk of clots, advanced pain, worsening appearance, edema, or ulcers. When vein health becomes an integral part of overall care, these grim statistics can change. By integrating venous health into physical examinations or as part of general health concerns, and by making venous system health a priority in treating those at risk or with early stage symptoms, fewer patients will suffer from this disease. Primary physicians and medical professionals who see patients as part of their practice play a central role in advancing the understanding of venous disease. 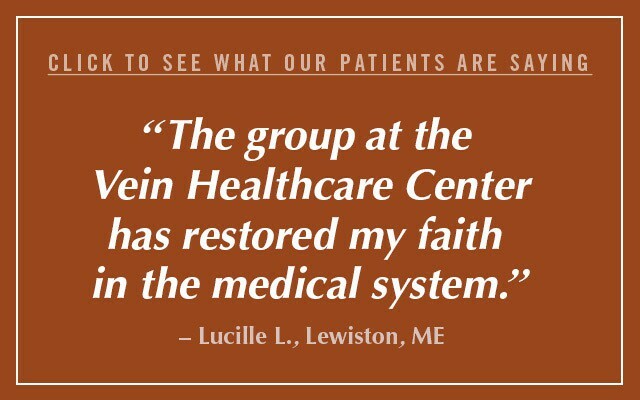 When patients understand their disease and are informed about options for treatment, they are more likely to have a positive interaction with their provider, receive quality care, and improve their quality of life. Know the risk factors of venous disease. Know the population most at risk. Ask patients about their symptoms. Inform patients with symptoms of venous disease about treatment options. Inform patients who may be at risk about their options for screenings, prevention, and treatment. 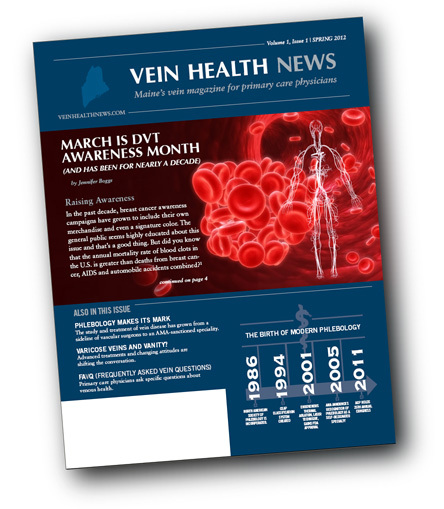 Tell patients how to prevent or alleviate venous symptoms and how to decrease their risk of deep vein thrombosis. Inform patients who may have had previous treatment, or those who have been dissatisfied with traditional, more invasive approaches, about today's treatment options. Maintain a current knowledge base of venous risks, symptoms, and treatment as well as advances in venous care. Provide an information sheet to patients with risk factors or symptoms of venous disease. Refer patients to a certified vein specialist. 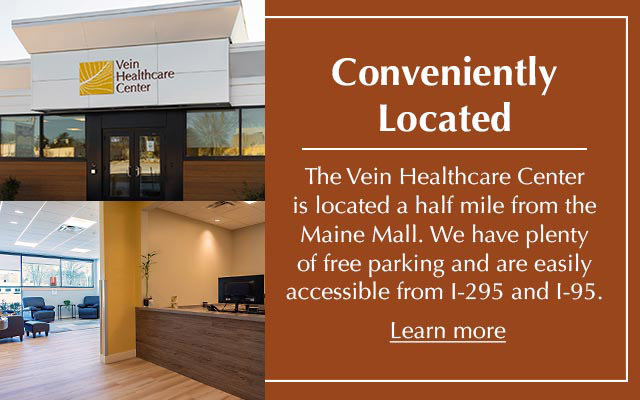 Contact the Vein Healthcare Center with any questions about vein health or to learn more about venous disease. Venous disorders are caused by structural and biochemical abnormalities of the vein wall that with progression, lead to varicose veins, pain and swelling, clots, vein bleeding and ulcers. Long-standing varicose veins can lead to vein failure in the "bridging" or perforator veins. As a result, those with varicose veins are more likely to develop advanced symptoms such as increased pain, skin changes, and ultimately, ulcers. Because of its progressive nature, treating venous disease is rarely simply cosmetic, and requires comprehensive care by a specialist. It is important that patients experiencing symptoms, requesting evaluation, or inquiring about cosmetic vein removal receive a referral to a vein specialist who can assess the source of the insufficiency and provide professional medical care. While the presence of a vein insufficiency can often be diagnosed in the superficial vein, only comprehensive examination by a phlebologist can identify the source of insufficiency. The use of venous ultrasound is critical for the detection of venous insufficiency at its source. Ultrasound mapping and interpretation by a highly skilled vascular sonographer is paramount to receiving an accurate diagnosis. Treatment by uncertified providers, or treatment of cosmetic concerns without taking overall health and venous health of the patient into account, is a common consequence of the ease of today's modern treatment. Without a full understanding of both vein health and pathology, wrong treatment options can cause more damage to the venous system and subsequently unhappy patients. It is thus critical that patients be treated by a certified phlebologist who can provide professional medical care and is committed to their overall health. 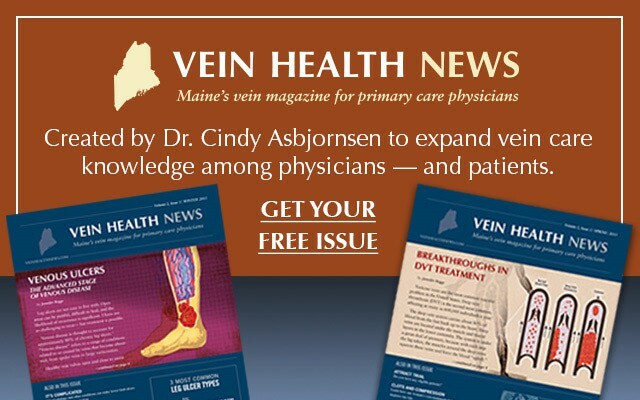 Dr. Cindy Asbjornsen established the Vein Healthcare Center in South Portland, Maine with the objective of providing outstanding medical treatment in all aspects of vein health for patients in all stages of venous disease. Part of this mission is to provide an exceptional resource for physicians and medical professionals who are seeking information about the latest trends and research in venous care and treatment, those interested in opportunities for doctor-to-doctor consultation about areas of vein health, and those seeking a trusted referral source. Dr. Asbjornsen is committed to advancing the level of communication between specialist and primary physicians and contributing to a collaborative environment as it relates to patient care. This commitment extends to full doctor consultation and disclosure of patient treatment and health management. She extends every effort that makes a contribution to better, more complete patient care. 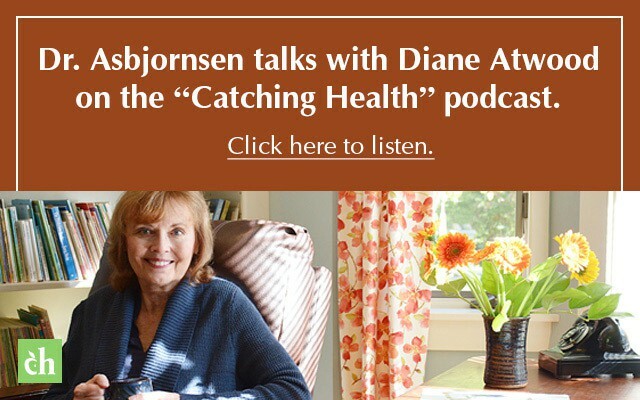 Dr. Asbjornsen welcomes the opportunity for referrals from all physicians and medical professionals. Physicians who have patients that may be new to vein treatment, and those who have had previous experiences with vein specialists and have been dissatisfied with traditional, more invasive approaches to treatment are encouraged to contact the Vein Healthcare Center. Refer a patient to the Vein Healthcare Center.